Learn how to simplify complex ideas by expressing them as Visual Concepts. 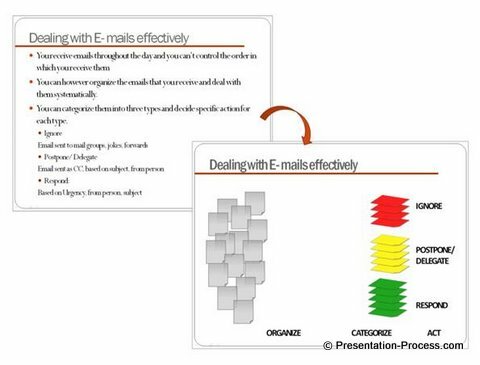 Add clarity and impact to your message using the power of visual diagrams. 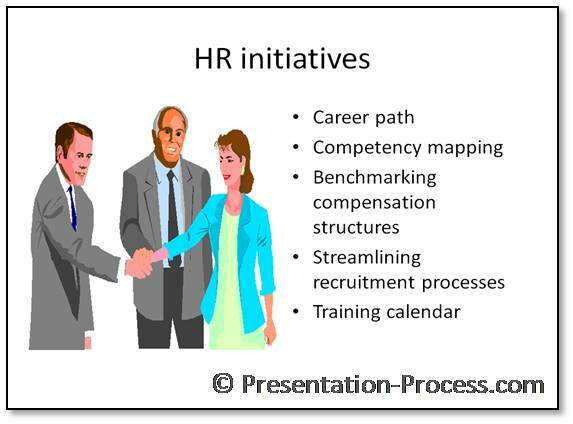 In this article, we will makeover a standard text-based slide you would see in any training or corporate classroom. 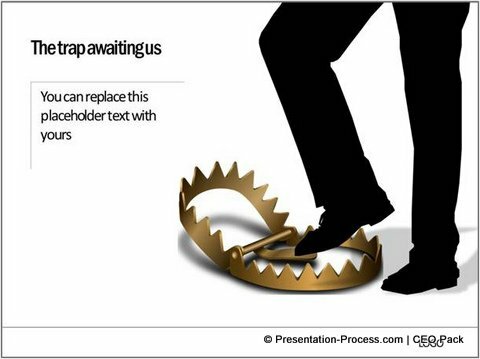 Let us convert the slide into a visual presentation. The keywords are highlighted here. The rest can go into the speaker notes. We can visualize the idea using a few boxes and lines. We can use an icon to represent the image of a customer. Rest of the action can be captured using custom animation. 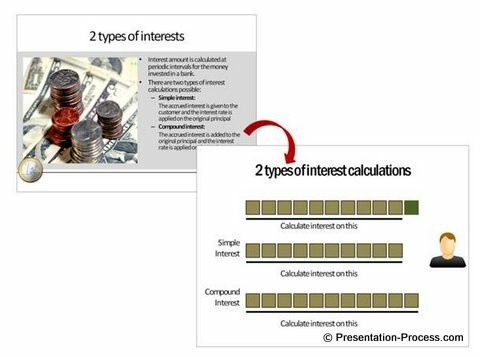 There are two types of interest calculations and we’ll learn about them in this presentation. When we invest our money in a bank, the invested amount is called the ‘Principal’. The principal earns interest over a period of time. In the first type of interest calculation called Simple Interest (Click) the interest amount is given to the customer at the end of the calculation period. The interest rate is applied on the original amount to calculate interest for the next period. 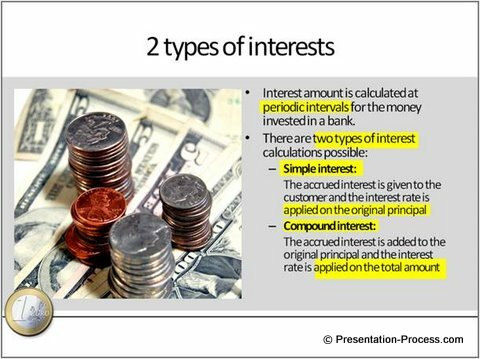 In the second type of interest calculation called Compound interest, the interest amount is added back to the original amount. The interest rate is applied on the combined amount to calculate interest for the next period. Many times presenters don’t realize the value of custom animation in bringing clarity to their message. They tend to wrongly assume that animation can only distract the audience. In the example you saw, we used multiple custom animation features like ‘Color change’, ‘Fade exit’ and ‘Motion path’ which are not normally used by most presenters. 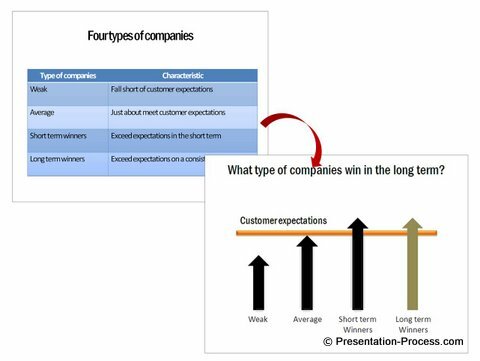 You can read about other before and after examples where visual slides with diagrams clearly explain different concepts. To be an effective presenter, it is essential that you learn how to visualize your ideas quickly and effectively. Text based slides are hated by the audience the world over. It is easy to learn to visualize your ideas. It is all about identifying the way different objects interrelate in a concept. There is a simple 3 step process to help you identify the objects and their relationships accurately. The process is explained in our eBook – Visual presentations. When you understand and practice the simple process you can represent any concept as visual diagrams.